Just a few days after President elect Donald Trump emerges triumphant – America and the European Union along with their international war machine NATO have another problem to consider. Not one but two pro-Russian candidates have just won presidential elections piling yet more pressure on the geo-political status quo and crumbling world order. The first has actually been a member of the EU since 2007. With only 7.5 million population and nestled between Romania and Turkey, Bulgaria has been plagued by the same corruption, political turbulence, and stalled economy that Ukrainians experienced just before its economy completely cratered and fell to the extreme right-wing political party known as ‘Right Sector’. Bulgaria, is the poorest nation (per capita) in the EU. bbc.com– 14/11/16: Bulgaria’s centre-right Prime Minister Boyko Borisov has tendered his resignation, after a Russia-friendly Socialist candidate defeated his nominee in the presidential election. Former air force commander Rumen Radev, a political novice, won Sunday’s election with about 59% of the vote. He wants the EU to drop its sanctions on Russia and seeks closer ties with Moscow to help Bulgaria’s struggling economy. It is the EU’s poorest state. Bulgaria used to be in the Soviet bloc. Reuters 14/11/16: A pro-Russian candidate for president of Moldova has won the race, following a campaign in which he vowed to slam the brakes on seven years of closer integration with the European Union. Socialist candidate Igor Dodon had won 54 percent, and his pro-European challenger, Maia Sandu, had just under 45 percent. Dodon’s win is in part a reflection of a loss of trust in pro-European leaders in the ex-Soviet state of 3.5 million, which was plunged into political and economic crisis after a corruption scandal came to light in late 2014. Moldova has strong ties to EU member state Romania. Indeed, during the antebellum (a time between the two world wars) the two countries were united. They share a common language, traditions and culture. The Moldovan flag is a modified version of the Romanian equivalent, with the Moldovan arms superimposed in its centre. Despite Moldovan nationalist tendencies and a sizable Russophone minority, the Romanians, whilst having no ongoing claim to Moldovan territory per se see Moldovans as culturally and ethnically Romanian. However, the Romanians themselves have a long history of hatred for Russia, so this event is likely to sour relations between them and Moldova. And, so just as Putin looks set to further strengthen Russia’s position in Syria, and may well find a new friend in Trump, he also has two more feathers in his cap with the allegiances of two Russian border nations. 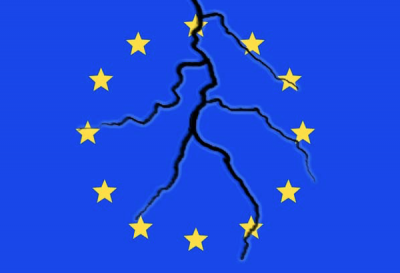 As America’s global influence weakens, so does the European Union’s and there is one common thread between the old world and the new – they are both mired in exactly the same problem – corruption. In the meantime, the European Union has some major hurdles to cross in the months, not years, ahead. First up, in just three weeks, Austria will go to the polls once again to decide whether centre independent candidate Alexander van der Bellen or far-right Freedom Party (FPÖ) candidate Norbert Hofer should be the new president. In the first elections back in June, the result was annulled by the country’s constitutional court due to postal vote anomalies, the margin between the two men was just 0.6%, but in this case would have favoured van der Bellen, hinting heavily that rigging went against the far-right party. Much to the horror of EU leaders we find that Hofer, not only has a great chance of succeeding in his bid to be president but also sees himself as a potential middleman between the US and Russia, in other words, another Putin fan -right in the heart of the European Union. The political climate in Austria seems to be directed against the so-called establishment. Hofer has tried to capitalise on this feeling, while Van der Bellen has stuck with a tried and tested formula. The same formula was used in the UK in its EU referendum and that of Hillary Clinton’s bid to be president of the USA, both failed. A few months later, Marine Le Pen of France, bolstered by all these changes of allegiance, could cause the really big upset and kick out the current incumbent who is the most unpopular French leader in history and forever change the world order as the European Union project implodes. If that happens, trade ambassadors will be queuing up at the doors of Downing Street in London and Brexiteers will be vindicated.